In my latest mirrorless camera update, I started warming to the Fujifilm line. I liked their compact feel, paired with great image performance. 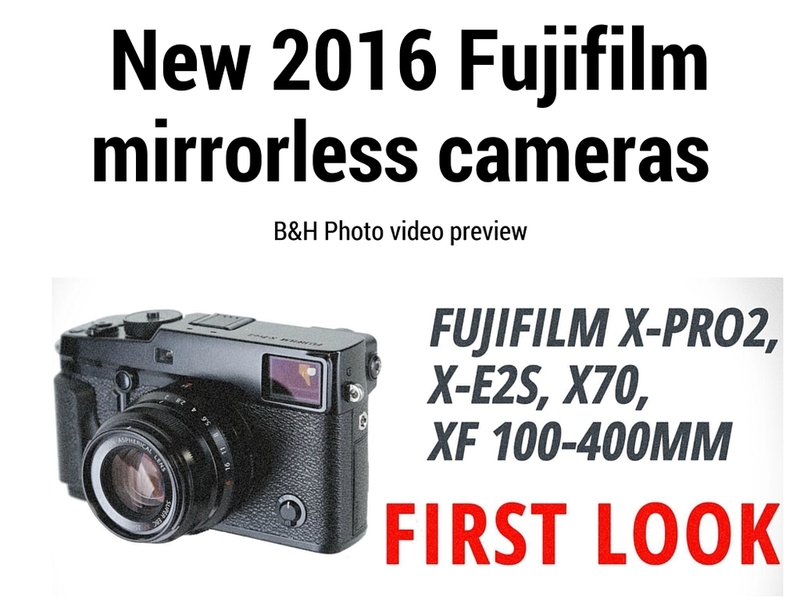 Well Fujifilm recently upped their game with their 2016 refresh. In this video, a Fuji rep discusses the new cameras and technology with B&H Photo. I can't wait to get these new models into my hands and start playing. What do you think of the new cameras so far? Much of the camera innovation is happening in the Mirrorless sector, but it’s still like navigating a jungle. Episode 43 - Why buy a mirrorless camera?